You must be 21 years consume alcoholic beverages. Rain or shine - no refunds. 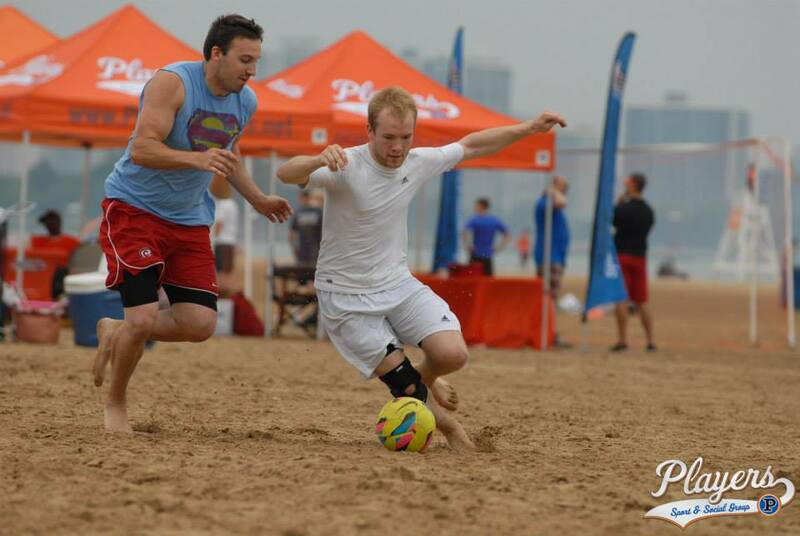 Join Players Sport & Social Group and Soccer in the Sand for the fourth annual SandKicker Cup at Montrose Beach on Saturday, August 4th, 2018! Players will be running adult coed & men's 5v5 divisions with all teams being guaranteed 4 games between pool play & playoffs. T-shirts included for all adult teams! Games will consist of two 12-minute halves with a short halftime & include one ref on each field. Coed teams consist of 3 men/2 women on the field at a time, including the goalie. Prizes include Bud Light prize packs, Players Champions fleeces & more! Head over to The Dock @ Montrose Beach during & after the tournament for great drink & food specials. Coed 5v5 - Sign Up! Men's 5v5 - Sign Up! ***Sign up by 7/20 to save $$$! Soccer in the Sand will be running youth divisions as part of the event. There will be a DJ playing all day, so there will be a great vibe at the beach!